The first paid Battlefield 1 DLC, the “They shall not pass” expansion, has received its first teaser image. “Soyez prêts,” reads a Tweeted image from DICE that appears that displays the upcoming “They Shall Not Pass” expansion featuring the French army. 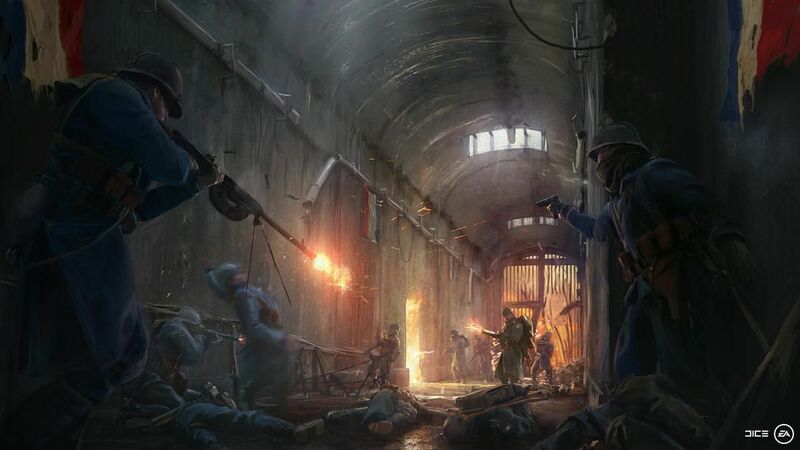 “Soyez prêts,” translates to “Be Ready”, and the concept art clearly shows French soldiers in a bunker setting with the French flag hanging from the walls. The first paid DLC for Battlefield 1 is slated for a release in March 2017 and will introduce at least two new armies to the game, including the French and Russian empire. The expansion is included in the game’s premium pass, which was announced earlier this year. Battlefield 1 is available now for PC, Xbox One and PS4. If you’re interested in Battlefield 1’s very first DLC “Giant’s Shadow’ map and update, check out this post right here.